Jockey George flies home with part exchange! 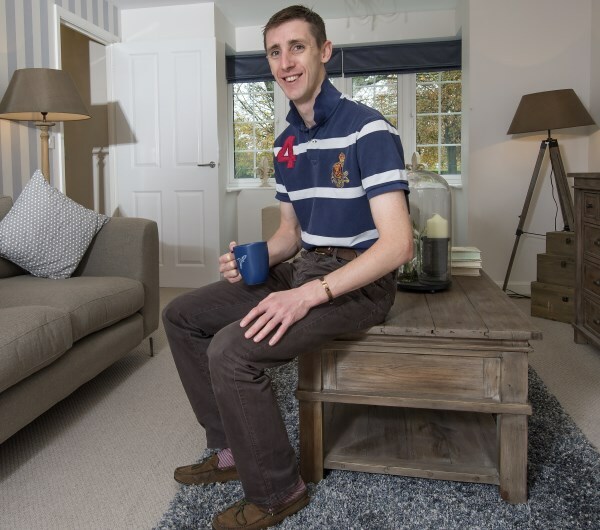 It didn't take Flat jockey George Baker long to cross the finish line when it came to buying his new Bovis Home at Chilton Dene, Didcot. The 30-year-old was looking for a quick and easy move that would run alongside his busy life as a professional jockey. And George and his fiancée Nicola were able to race through the process quicker than they ever imagined thanks to Bovis Homes and their part exchange scheme called 'Home Exchange'. "I'm so busy with my career that I simply don't have a lot of spare time on my hands," said George. "As a Flat jockey I travel a lot with work and I know that moving house can be a lengthy and stressful process. "But Bovis Homes and their Home Exchange scheme ensured that the move was straightforward from start to finish." The couple were keen to live in Didcot and Bovis Homes' Chilton Dene development in Oxfordshire provided an excellent base for George's hectic career. Just 60 miles west of London, close to the M4 and 25 minutes from Oxford, the transport links were ideal and perfect for travel to the country's racecourses. Even better was the incentive of avoiding estate agent's fees and long and potentially stressful property chains because by taking advantage of Home Exchange, George was able to secure a brand new home, with Bovis Homes buying his existing property. "It couldn't have been easier; Bovis Homes arranged for two local estate agents to value my flat and then they made us a really good offer," said George. "The sales team made the move happen as quickly as possible and we were able to forget about agent fees and property chains and focus on the development and our brand new home. "Chilton is a wonderful place to live and there is a real community feel about the place." The couple have now settled into their new three-storey, three-bedroom town house and are getting ready for more busy times ahead. "Living in such an ideal location allows us to enjoy life to the full and we're looking forward to a happy future in our new home," added George.